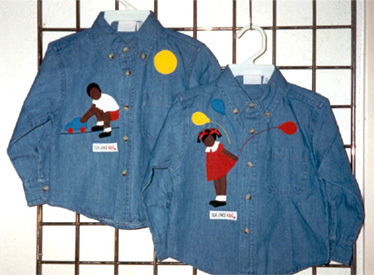 Childs children denim shirt. Choose a boy or girl design. 100% cotton denim long sleeve shirt. Great for those cool days. Only available in even sizes. (Match with hairbows, socks, or purse for a perfect gift)Choose a boy or girl character.